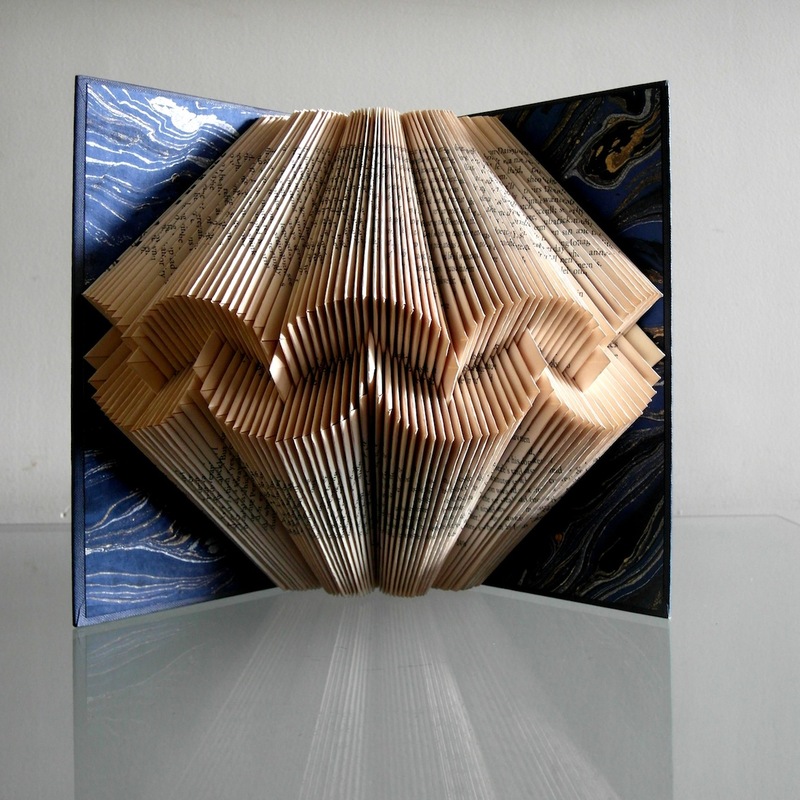 Old hardcover books, re interpreted. 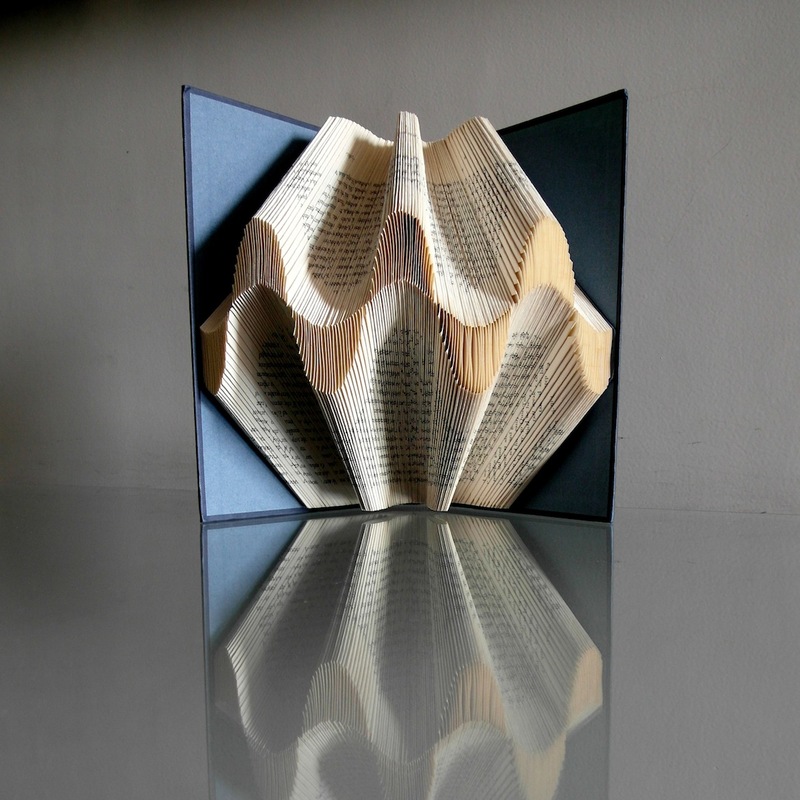 The Basic Series of book sculptures are made from old books that were once loved, but no longer have a home and are destined to be junked or recycled. 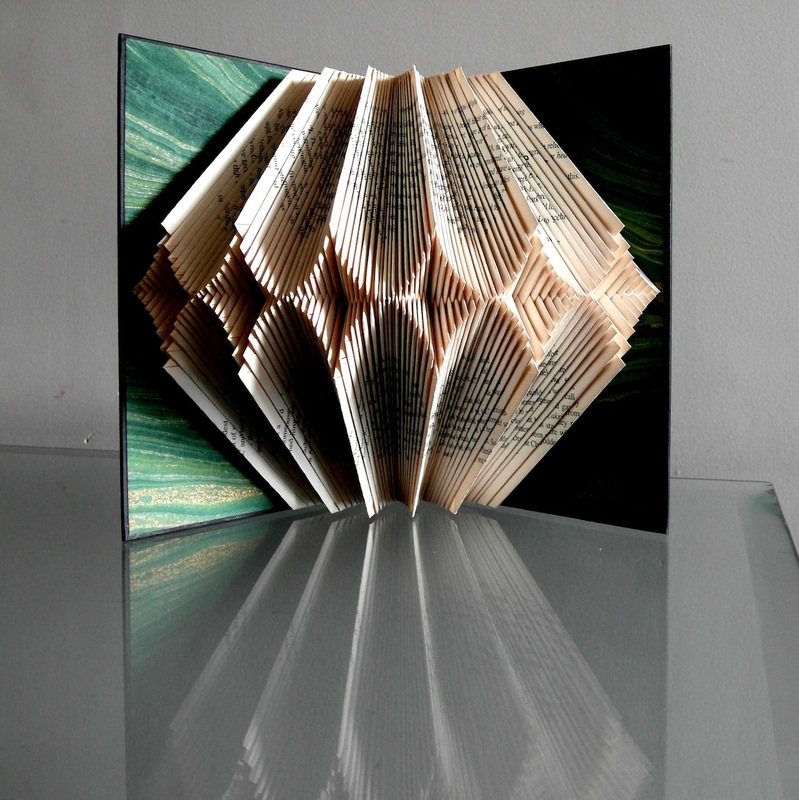 The artist uses regular hard cover books, mostly fiction titles or biographies that have passed their “read by” dates! 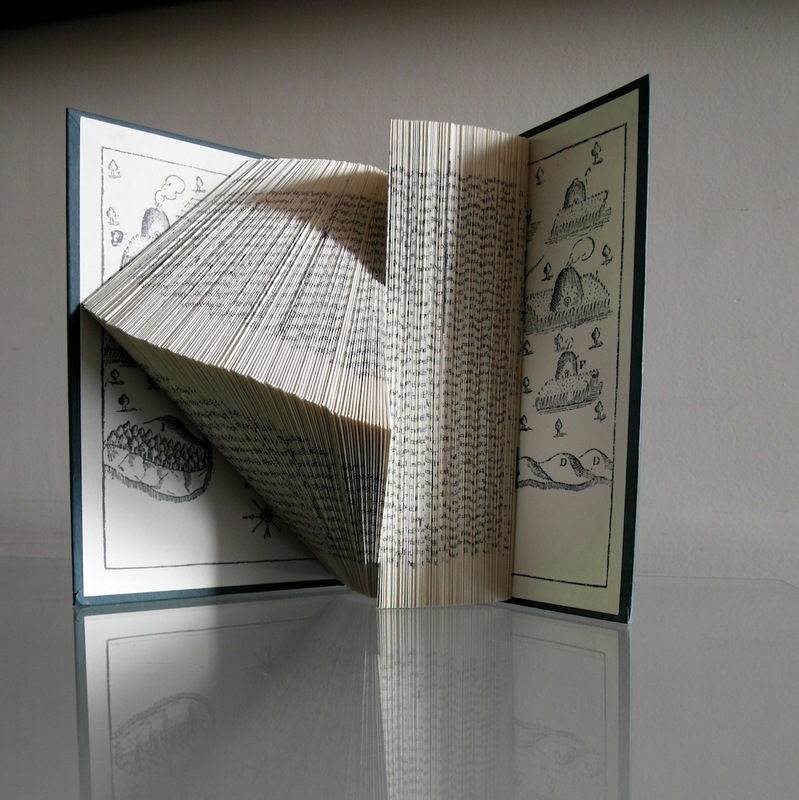 They are sourced from pavement booksellers and second hand shops. 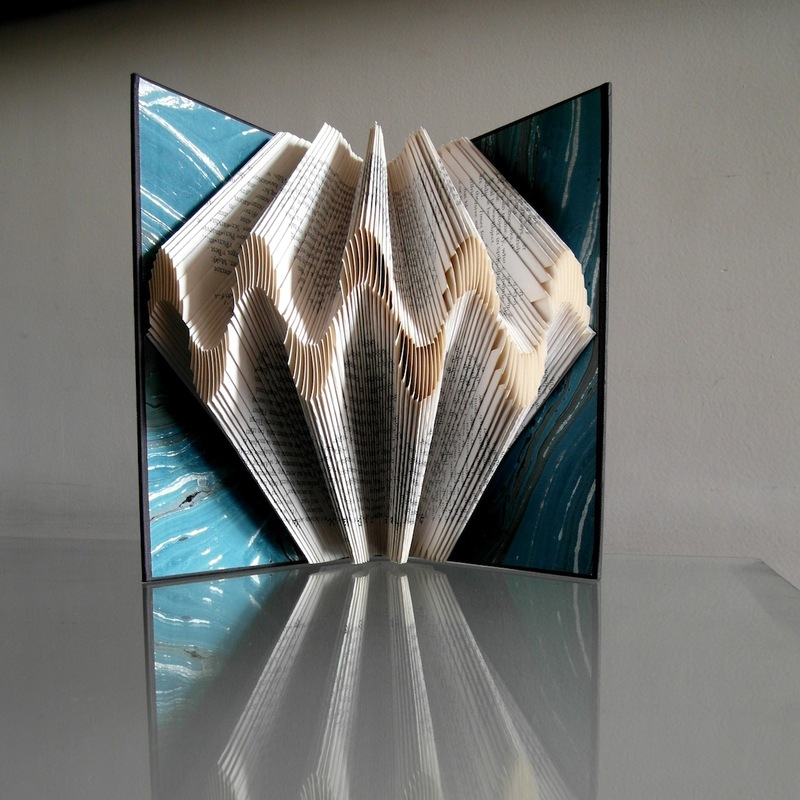 She then looks beyond the conventional use of the book and attempts to create a new narrative. 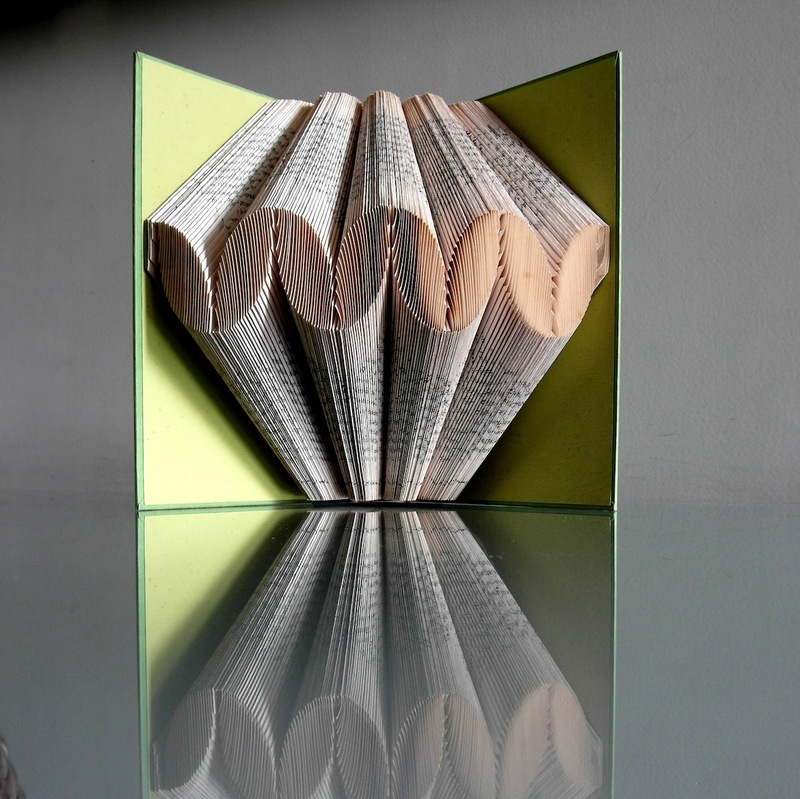 Through a series of careful folds - and without any cutting or pasting - she celebrates the ‘renewal’ of a ‘consumed’ object. 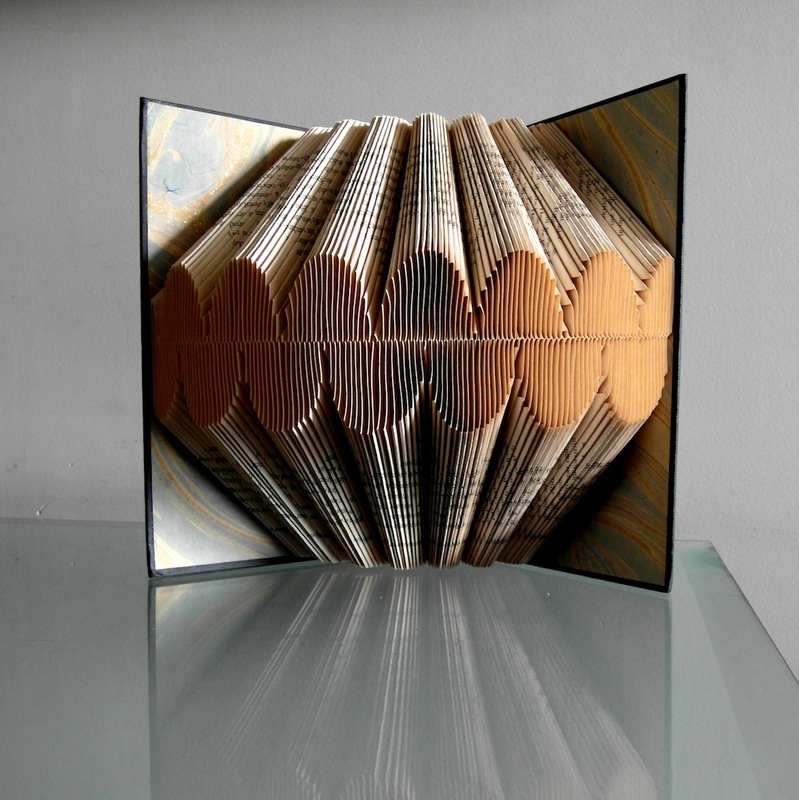 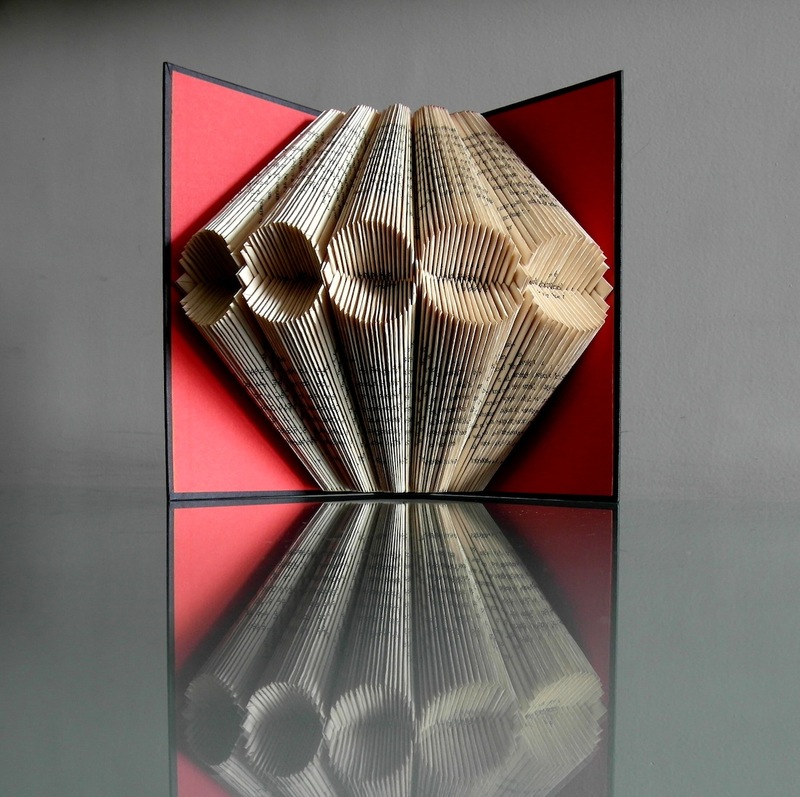 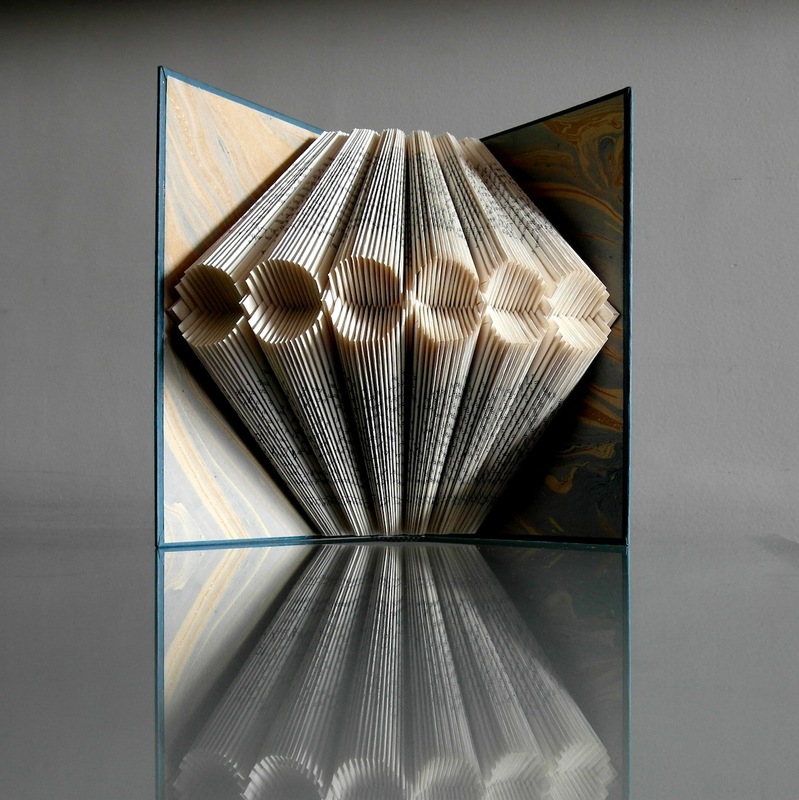 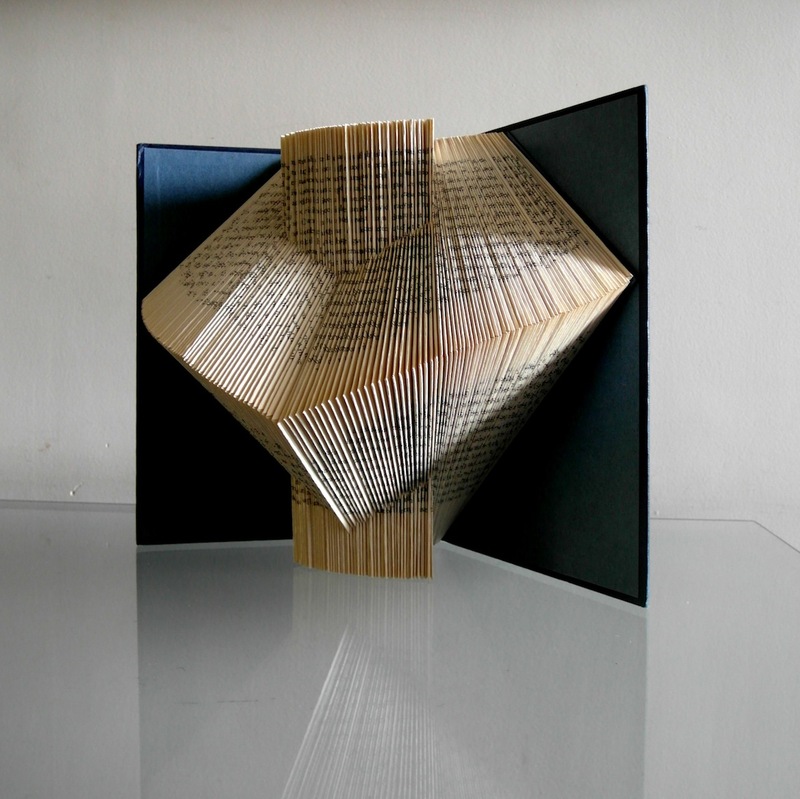 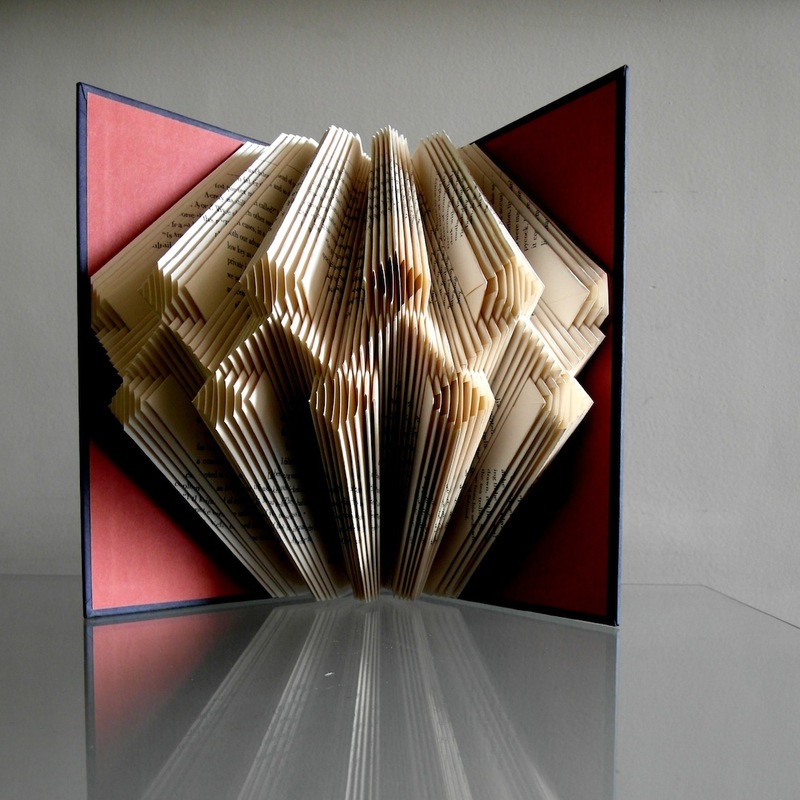 These book sculptures are intriguing pieces for any shelf or table top.